‘Indigenous Biocultural Territories’ (IBCTs) aim to protect collective biocultural heritage of indigenous peoples through collective territorial rights. They support the integrity of indigenous territorialities which are under siege from a variety of forces and actors, in a rapidly changing world. These territories are essential for sustaining local subsistence economies, diverse cultures, biological resources, innovation and adaption systems, and ecosystem services. Yet communities face growing pressures to take over their land, whether for development (eg industrial agriculture, mining, tourism), climate change related schemes (eg. REDD, biofuels, dams), or expansion of state protected areas. IBCTs can play an important role revitalising traditional knowledge systems, and protecting traditional knowledge from biopiracy. Examples: The Andean Potato Park, Pisaq, Peru. 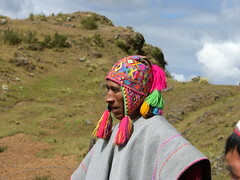 The Potato Park is an Indigenous Biocultural Territory managed by six Quechua communities (around 6,000 people) in a micro-centre of origin for potato diversity near Cusco. It covers approximately 25,000 hectares and spans an altitude of 3,400-4,500 metres above sea level. 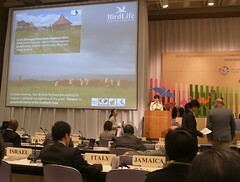 It was established in 1998, and has reversed the loss of agrobiodiversity in the area. The Potato Park takes a holistic and systems approach to protecting the Andean landscape and its biocultural expressions. It provides a territorial approach to collective rights; a corresponding set of collective responsibilities; and a set of tactics for responding to external pressures and threats, through a rooted political approach. It aims to strengthen local economies and wellbeing based on Quechua customary values and laws, founded on respect for nature and social equity. The Potato Park also provides an alternative approach for protecting traditional knowledge. It protects not only the intellectual, but the landscape, biological and cultural components of knowledge systems, thereby halting loss of traditional knowledge as well as misappropriation. And it strengthens the communities' collective control over their knowledge. 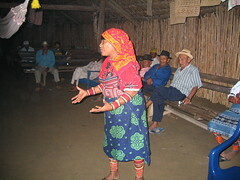 The Kuna in Panama have had collective land title for their 49 communities since 1938. They have their own Congress to develop and implement Kuna laws within the Kuna Yala (territory), based on customary laws. The territory has strengthened the system of collective Kuna governance. Although the Kuna law is not always recognised by the government, the Kuna have managed to get bits of it inserted into national legislation (eg on health, education and the environment). The Kuna have only had minor encroachment on their land by loggers, miners etc, whereas the Embera-Wounan people in Panama, who only recently gained collective land title, have had greater encroachment problems. This encroachment has reduced their access to natural resources, undermined cultural cohesion, and accelerated the loss of traditional knowledge. The Satoyama Initiative is an initiative of the Environment Ministry of Japan and the UN University Institute of Advanced Studies (UNU-IAS). It aims to maintain and rebuild socio-ecological production landscapes, which are a type of biocultural landscape. These landscapes are dynamic mosaics of habitats that have been shaped over the years by the interactions between people and nature in ways that maintain biodiversity and provide goods and services for human well-being. They have been sustainable over centuries and are living examples of cultural heritage. exploring new co-management systems and commons frameworks while respecting traditional communal land tenure. Bio-cultural diversity conserved by indigenous peoples & local communities – Examples and Analysis. 2010. IUCN, IIED et al. Protecting Farmers' Rights with Indigenous Biocultural Territories: The experience of the Potato Park. A. Argumedo & M. Pimbert (2008). Protecting community rights over TK. IIED and Partners' Workshop, Burnham Beeches, July 2009. Sacred Natural Sites: Conserving Nature and Culture. 2010. Edited By Bas Verschuuren, Robert Wild, Jeffrey McNeely and Gonzalo Oviedo. Earthscan. Protecting community rights over traditional knowledge is a project supported by the International Institute for Environment and Development (IIED) frame funds with kind support from the International Development Research Centre (IDRC) and the Christensen Fund. Smallholder Innovation for Resilience is a project funded by the European Union and UK Aid. This site has been produced with the financial assistance of the European Union and UK Aid. The contents of this document are the sole responsibility of IIED and can under no circumstances be regarded as reflecting the position of the European Union or the UK government.